My name is Ryan Haupt, I’m a graduate student at Vanderbilt University. I came to Nashville specifically to study how species evolve in response to climate change, so this bill hits very close to home. I was raised in a state where evolution and other “controversial topics” were not taught in schools, but in my home I was taught to question everything, so by actively taking courses that challenged me in college, I was able to learn about evolution and its role in the natural world. This knowledge inflamed a passion that has driven me to dedicate my life to the study of science, and the exploration of the natural world through the scientific method. All this bill does is grant license to those who would salt the Earth rather than plant a tree. It presents a Trojan horse of academic freedom but actually carries troops of disinformation and political propaganda, neither of which belongs in a science classroom. I have been opposing this bill for over a year because I believe it is at best unnecessary and at worst a detriment to the education of young people inTennessee. 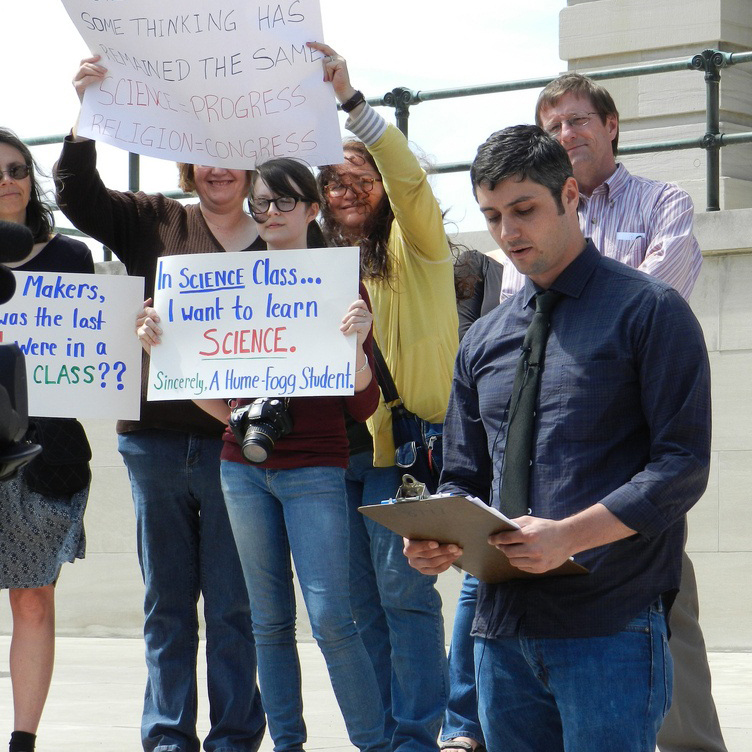 I think the best thing we can do now is let our teachers know that we support them teaching sound science and that they don't need to "teach the controversy." Instead, we want the next generation to be as best prepared as possible and that means sound science education. Thank you.